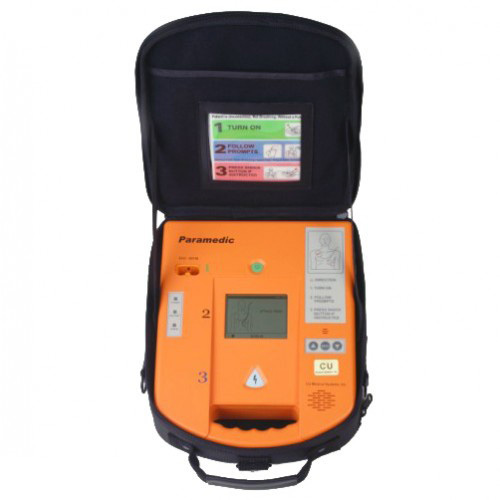 The Paramedic CU-ER1 is a semi-automated external defibrillator (AED). If connected to a patient, it automatically acquires and analyzes the electrocardiogram (ECG) of the patient for the presence of Ventricular Fibrillation or Ventricular Tachycardia (also known as shockable rhythms). 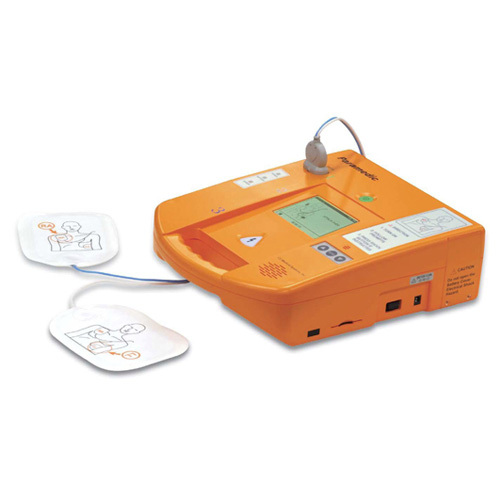 If a shockable rhythm is detected, the Paramedic CU-ER1 automatically charges itself and then prompts you to press the SHOCK button. 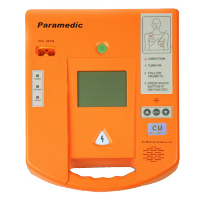 When you press the SHOCK button after being prompted to press it, the Paramedic CU-ER1 delivers a defibrillating shock. 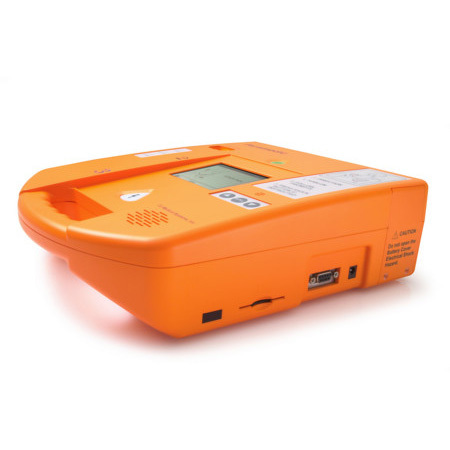 After delivering a shock, the Paramedic CU-ER1 allows you to administer CPR (cardiopulmonary resuscitation) according to the AHA 2005 Guidelines on CPR. 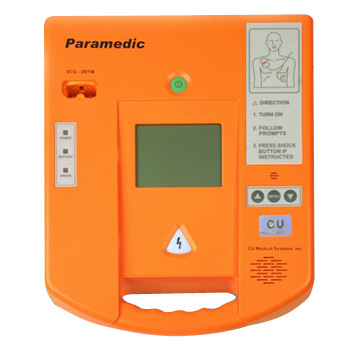 The Paramedic CU-ER1 is easy to use. It guides you throughout a rescue operation using voice and text prompts. The SHOCK button that commences a shock delivery is clearly marked and is fitted with a backlight that flashes when the button has to be pressed.